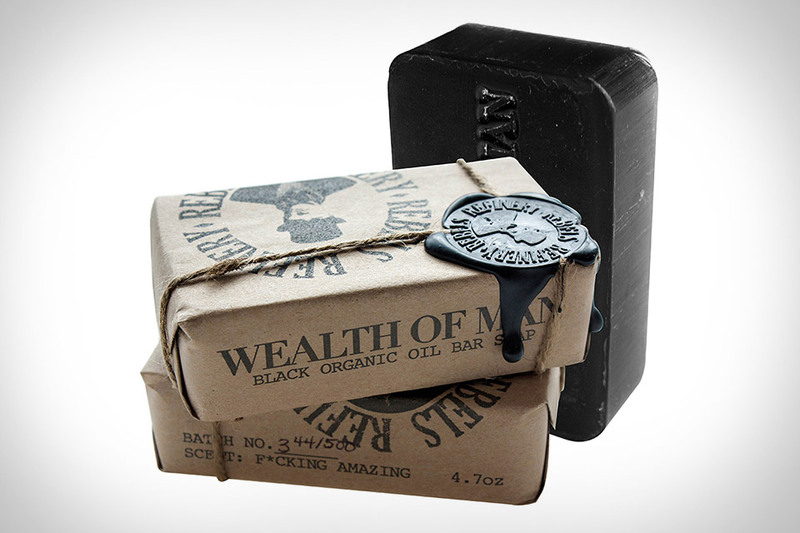 Only the manliest of men get clean using black soap. That's exactly what Rebels Refinery Wealth Of Man Oil Bar Soap lets you do. Made in Toronto in small batches of 500 then hand-wrapped, strung, and sealed, this unique bar contains organic coconut oil, organic palm oil, soy protein, charcoal food coloring (for that dark as night color), and sandalwood oil to leave you smelling great. Add a bit of German essence to your cleaning regimen with Frank Leder Bavarian Sausage Handsoap. Made in small batches in Austria, this unique hand soap is made with traditional recipes in mind, using natural ingredients and scents to leave you with a marjoram and black pepper smell that's manly and enticing. Presented in a handsome 250ml glass bottle with a Bakelite screw cap. Ideally, you'd have all your favorite skin care products at your disposal after a busy day. But whether you've been traveling, working, or exploring, real life seldom works out that way. Which is why Ursa Major created its Essential Face Wipes. Individually-wrapped and infused with the company's 4-in-1 Face Tonic formula, these bamboo wipes will remove oil and grime, exfoliate, heal, and hydrate your skin, all while leaving behind aromatic traces of orange, fir, and lavender. The result is fresh, clean skin that's ready for whatever the rest of your day holds. Shaving can be a real pain — both figuratively and literally — it's an obligatory chore for most of us that can leave your face feeling razor-burnt and raw. But there are steps you can take to make it more of a pleasure, steps like the Baxter Hot Towel Solution. All you need to do is soak a towel in hot water before your shave, and spray it with the contents of this bottle, then do the same after your shave using cold water instead. The hot water opens up your pores, while the cold water closes them back up again, making it easier to get at those stubborn hairs while helping prevent irritation. And the natural ingredients in the solution take your shaving prep just a step further, with menthol, rosemary, eucalyptus, camphor, and more all helping to tone your skin.